Andrew's Locomotive project was featured on the BBC Channel 4 as an episode in George Clarke's Amazing Spaces series. The hosts show viewers the inside and outside of the structures as well as the environment they're situated in. 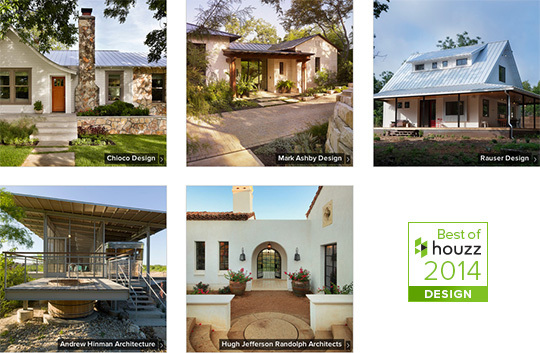 Popular online community Houzz has included the Locomotive Ranch Trailer Home in their Best of 2014 Remodeling look book. 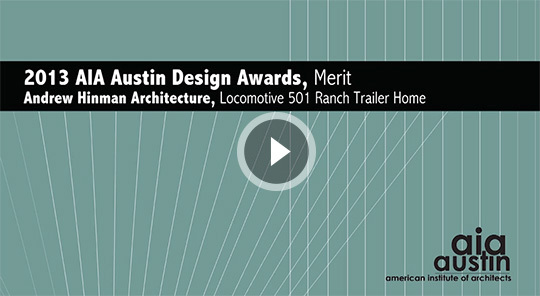 Andrew was awarded the Design Merit award by the American Institute of Architects, Austin Chapter for the Locomotive Trailer Home. They called it "a whimsical but clear use of space that relates well to its environment." 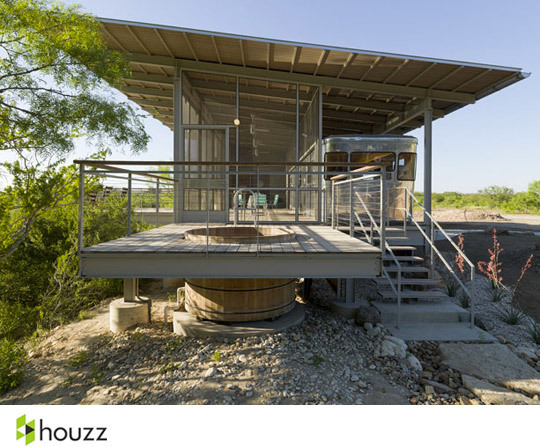 The Locomotive Ranch Trailer Home is the subject of a featured Houzz Tour article by Mitchell Parker. The feature colorfully describes the project and has received a great deal of attention. 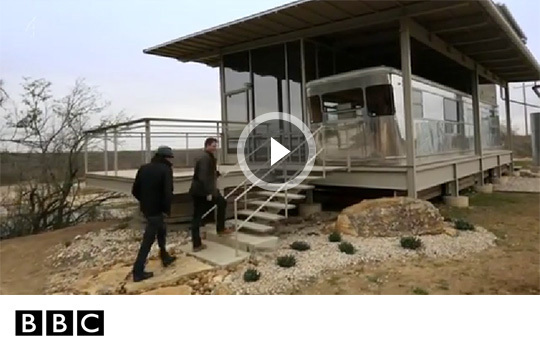 The Locomotive Ranch Trailer Home is included in Arch Daily's Selected Works section. 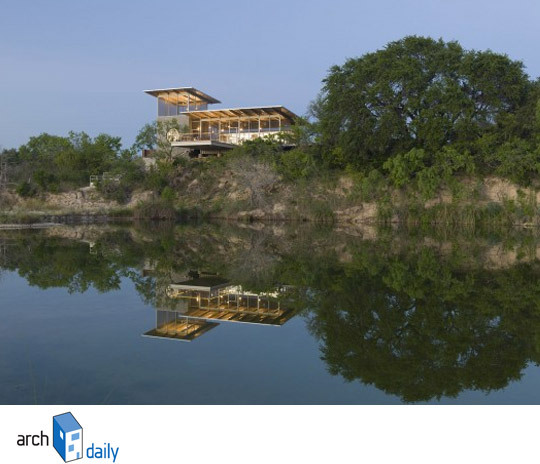 Arch Daily is "the world's most visited architecture website" with an international scope of current global architecture. 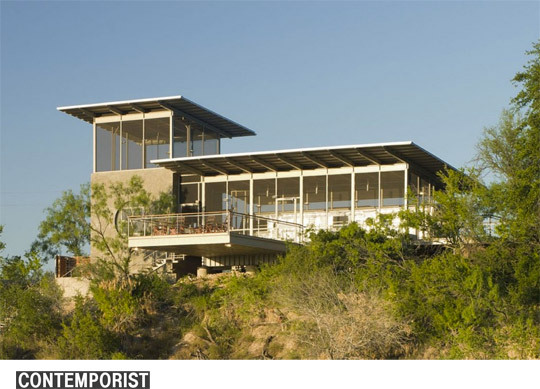 The Locomotive Ranch Trailer Home's environmental features are featured on Contemporist. 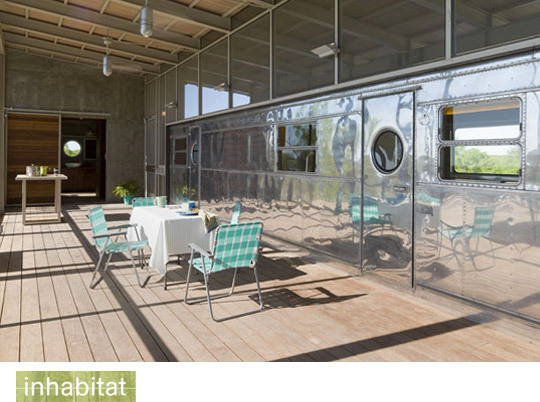 The Locomotive Ranch Trailer Home is featured on Inhabitat.